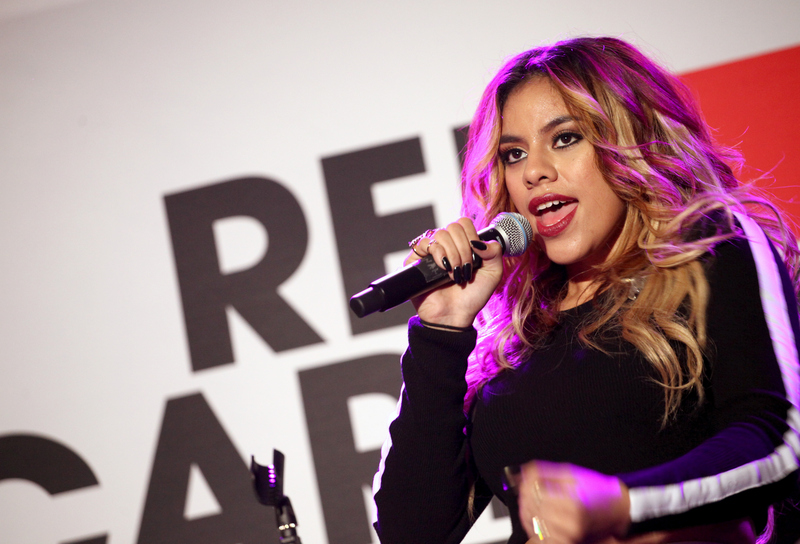 Harmonizers, I hope you're sitting down, because Dinah Jane Hansen revealed that she auditioned to be the next Disney princess and there is literally no chill anywhere to be found. Is that it under that chair? No. How about that over— NOPE. No chill. NO CHILL WHATSOVER. Hansen is in the running to star as the self-titled character in Moana , Disney's first film about a Polynesian princess. Obviously, every Fifth Harmony fan out there knows that this literally needs to happen (because Dinah Jane Hansen is this role), but just in case you're not entirely convinced... well, here are six reasons Dinah Jane Hansen should play Moana. I auditioned for the role about a couple of months ago, and I just found it as an opportunity for me to audition for the first Polynesian princess. I always tried to represent for Polynesians... that was always my goal, 'cause not everyone really knows about us. I just really want to rep for them. "She'd be perfect for the part!" Ally Brooke Hernandez gushed to MTV, while Camila Cabello said what we were all thinking and called Hansen "the real-life Polynesian Princess." #Accurate. Of course, the girls all then freaked out even more and showed some serious solidarity in support of DJH. Love! Disney should obviously cast a Polynesian actress/singer to play the part of the first Polynesian princess. And who better than the 5H singer, who is proud of her ethnicity and wants to do her ancestors proud? Just like her character! OMG. Not only is Dinah Jane Hansen besties with Dwayne "The Rock" Johnson's daughter Simone, she seems to be totally tight with the actor, too. (The Rock is also totally a Harmonizer, but that's another story.) But the significance of all this is that The Rock is voicing the demigod Maui, one of the main characters in the film. Hintity hint hint, amirite? According to Moana 's plot description on IMDb, "The main character will be Moana Waialiki, a sea voyaging enthusiast, and the only daughter of a chief in a long line of navigators. When her family needs her help, she sets off on an epic journey." Like the character, Hansen has gone above and beyond for her family as well. The 5H singer's mom shared this incredibly emotional video of Hansen singing to her dying great-grandmother, which will probably break your heart. And interestingly enough, Slash Film reports that "the adventure is set in motion after Moana's grandmother dies," which is eerily similar to Hansen's own life. The official plot description for the movie refers to Moana as a "spirited teenager," which is literally also a description of Dinah Jane Hansen. Perfection. Moana is set to hit theaters in 2016.